A postcard from Dresden, Germany, received through official postcrossing from Mirko. 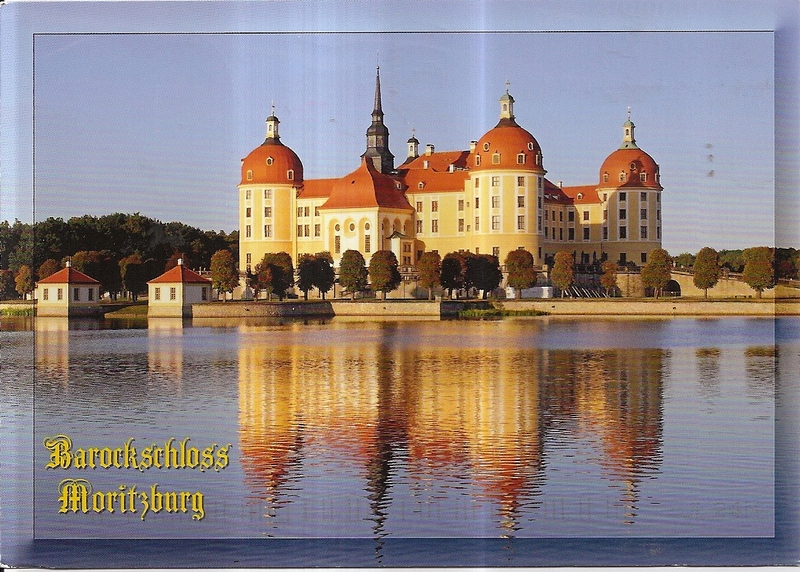 The postcard shows the Moritzburg Castle near Dresden, Saxony. At the back, Mirko affixed two stamps. 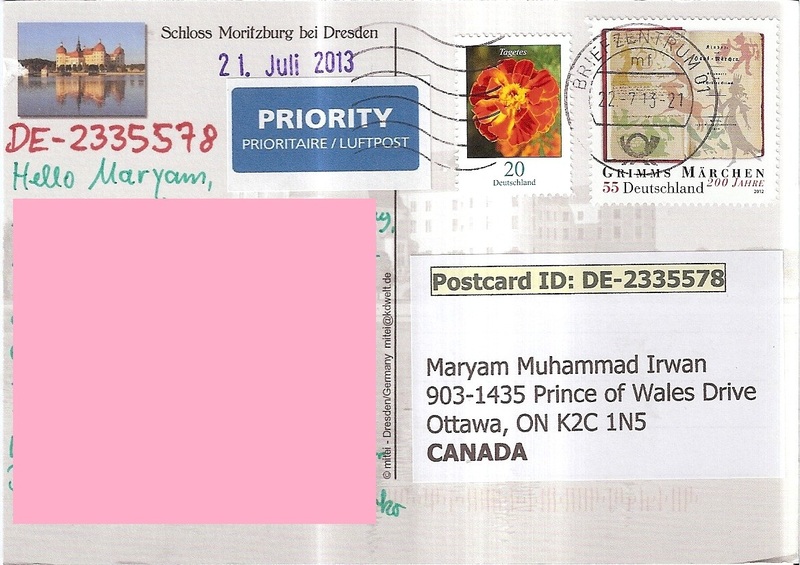 The postmark date is 22 July 2013. Thanks a lot Mirko for sending me a postcard of my favorites wall!